Many of our original recipes came from a bundle of handwritten notes from my mother’s handbag when she died, many other recipes came from family members or friends. Growing up in Lambeg, County Antrim any guest or visitor to my house had to be served a pot of tea and some kind of home baked treat. My Granny McCarthy who did a lot of my rearing made sure I knew the proper way to make the tea and I was accustomed to providing hospitality even at an early age to anybody who came to my house. The origins of hospitality and recipes used at McCarthy’s Red Stag Pub came from my upbringing, lessons and priorities I learned from my Mother and Grandmother. Join us each month for our McCarthy’s Whiskey Tastings — an evening of fun, good spirits and whiskey lessons as we sample and learn from a variety of whiskey brand representatives. mccarthy’s great room. team building. special events. McCarthy’s Red Stag Pub has been known in the Lehigh Valley as one of the most unique venues to host private parties, rehearsal dinners, bridal or baby showers, and corporate events. 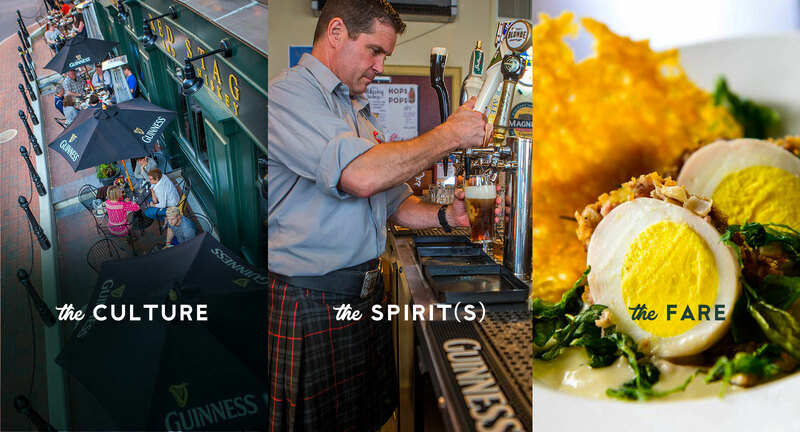 What makes us unique is that we specialize in Celtic cuisine and provide a full Celtic experience — atmosphere, music and even the folklore. Join us EVERY Monday through Friday from 4 to 6 pm and SUNDAY from 9 to 11 pm for the HAPPIEST hours in Bethlehem. Not a bad way to start off your week!